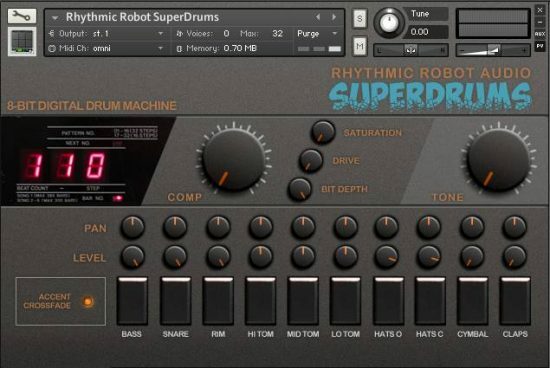 Of course, the usual suspects are present to roughen up your sound if you want: we’ve found that SuperPerc responds really well to dropping the bit depth and adding some saturation, which make the sounds a little fuzzier and fizzier and move them backwards in the soundstage. 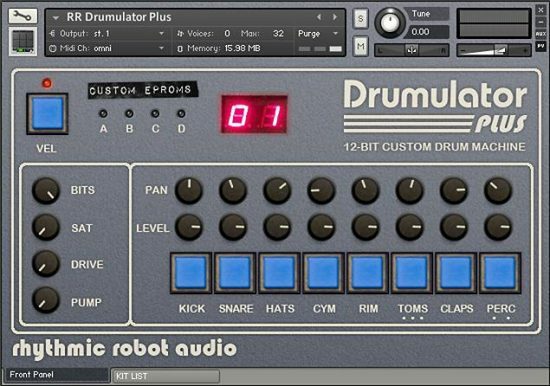 If you want some bubbling percussion happening in your track but don’t want it too front-and-centre, this is a great way to fade it to the background without using reverb and getting everything mushy. Likewise, the big Tone knob can roll off the high frequencies and some of the more aggressive edges, letting the pieces sit in the mix when you don’t want them leaping out at you! 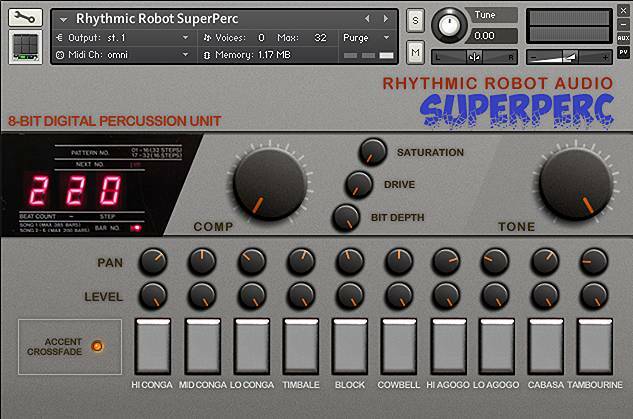 If you’ve yet to join the 8-bit party, SuperPerc and SuperDrums are a great way to get your foot in the door. Go cowbell! 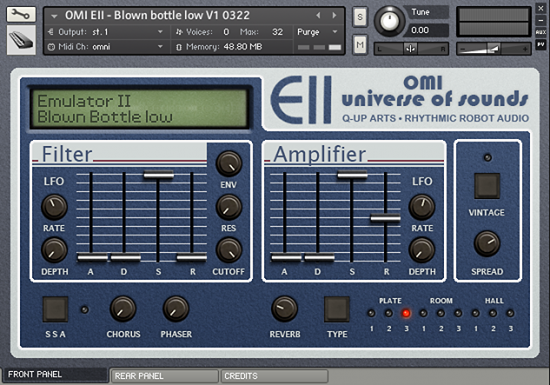 Perfect addittion to the DDM110, even better sometimes with some outstanding and bizarre sounds. 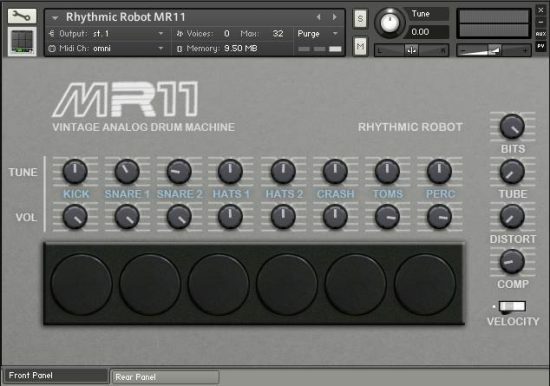 As usual, quality of the Kontakt instrument is top notcht, as expected with every Rhythmic Robot instrumet. Thank you Doctor! bof TONK! bof TONK! bof TONK! TONK! TONK! TONK! Finally cowbell status is adequate. The button feels good, too. I have both Superdrums and Perc. Brilliant combo. Five Stars! ! !